Two secondary school students from Co. Cork are in the process of conducting an intriguing experiment to ascertain how birds are influenced by colour, and how that affects their foraging and feeding habits. Jemma Dearden and her friend Gill Blackburn, who are currently in the transition year at Loreto Convent Secondary school in Fermoy, were short listed to attend the BT Young Scientist and Technology Exhibition in Dublin’s RDS from 09-12 January 2013 to present their results. The pair have designed a series of experiments involving different coloured bird feeders and bird food and different coloured bird feeders on bird food coloured with natural, non-toxic food die, and are monitoring daily level of consumption. But as well as the results of their own colour-coded experiments, the girls are keen to broaden the net, and are looking for your help with a simple online survey. “We didn’t want to just base the experiment on our surroundings and our local birds, we want everyone to get involved,” explained Jemma. “The survey will help us ascertain information about the the behavioural eating habits of the bird species and the demand there is for a specific colour that birds are attracted to during feeding,” she said. 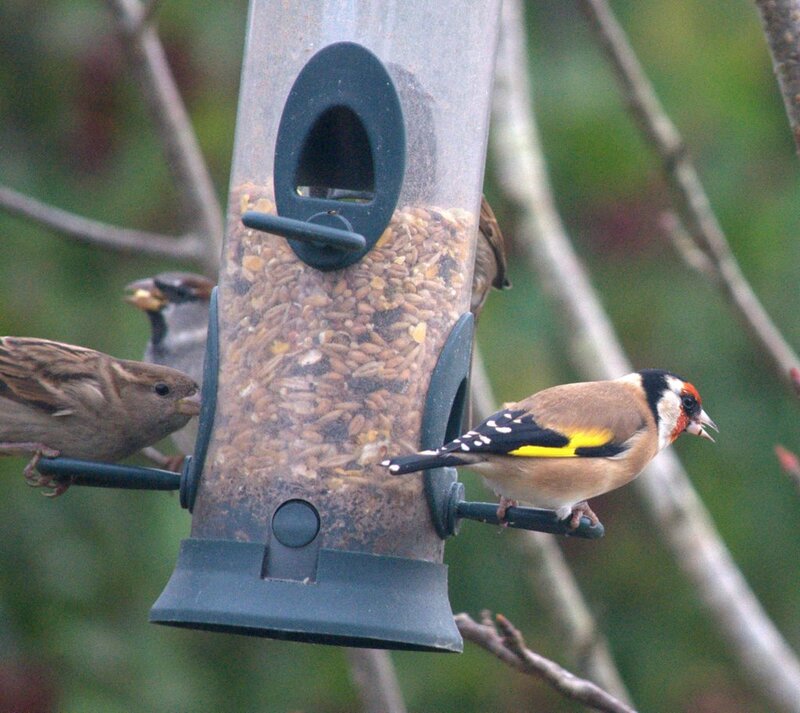 All you have to do is follow the link and answer a few straightforward questions about the birds in your garden. Please head over and check out the survey, and let’s help give the girls the feedback they need.